"In your universe, there's only one Spider-Man. But there's another universe… It looks and sounds like yours - but it's not." This looks AMAZING!! Sony has debuted a new full-length trailer for their animated adventure Spider-Man: Into the Spider-Verse, which looks like it features groundbreaking animation techniques and style. Phil Lord & Chris Miller wrote the script and are producing this film, and they're very excited to share it. Shameik Moore (from Dope!) 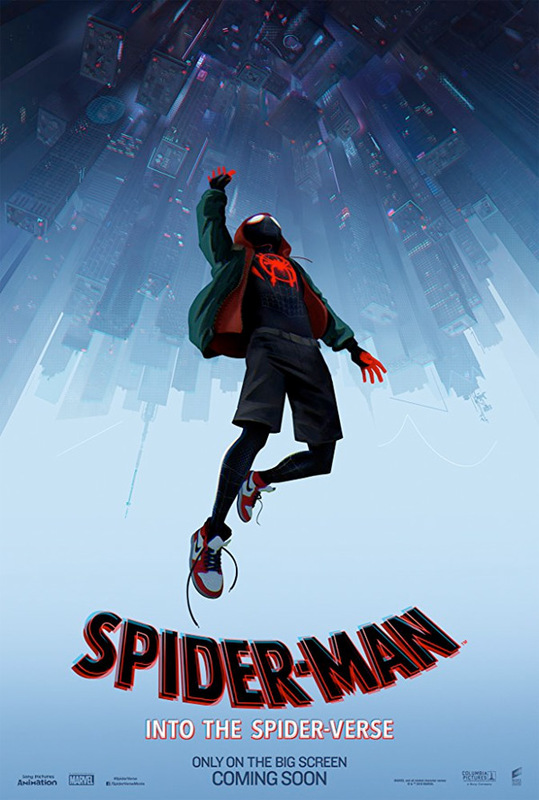 provides the voice of Miles Morales, and the full cast includes Hailee Steinfeld, Liev Schreiber, Mahershala Ali, Brian Tyree Henry, Jake Johnson, and Lily Tomlin, along with surprise guests. I am super duper excited for this. I haven't seen such fresh and unique animation in a while. I love what they're doing, I love how wacky & weird it seems, everything about it makes me smile. My only issue - not a fan of Johnson as the original Spidey voice. But still! So good. You can still watch the first teaser trailer for Spider-Man: Into the Spider-Verse here, for a bit more footage. Phil Lord and Christopher Miller, the creative minds behind The Lego Movie and 21 Jump Street, bring their unique talents to a fresh vision of a different Spider-Man Universe, with a groundbreaking visual style that’s the first of its kind. Spider-Man: Into the Spider-Verse introduces Brooklyn teen Miles Morales, and the limitless possibilities of the Spider-Verse, where more than one can wear the mask. Spider-Man: Into the Spider-Verse is directed by animation filmmakers Bob Persichetti (making his directorial debut after working as head of story at DreamWorks) & Peter Ramsey (director of Rise of the Guardians). The screenplay is written by Phil Lord and Christopher Miller, and Rodney Rothman; based on Brian Michael Bendis & Stan Lee's characters. Sony will release Spider-Man: Into the Spider-Verse in theaters everywhere starting on December 14th at the end of this year. How does that look? Are you excited to see this movie?